Data from the Department of Finance shows that 59,226 mortgages in arrears of 90 days plus have not been restructured, though this is down on 62,643 in September last year. NEARLY 60,000 MORTGAGES are in arrears of 90 days or more and have not yet been restructured by the country’s six main lending institutions, according to figures published today. Figures released by the Department of Finance show that by the end of December a total of 74 per cent of mortgages in long-term arrears – three months or more – have not yet been restructured, although this is fall of one per cent on November. Data shows that 59,226 mortgages in arrears of 90 days plus have not been restructured. This is down on 62,643 in September last year. 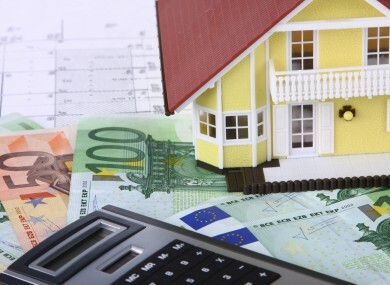 The Department said that “engagement between consumers and lenders” has led to 51,188 permanent mortgage restructures, an increase of 6,011 accounts since the end of September last year, while the total number of mortgages in arrears has fallen by 3,517 in the same period. The number of mortgage accounts in arrears of greater than 90 days has fallen from 81,156 to 79,782, a drop of 1,374 accounts when compared to the end of September. The total number of temporary restructures is falling, indicating that banks are now focussing on permeant restructures which have increased by 1,884 accounts. These include a rise from 2,521 when the Department began collecting data last August to 6,239 by the end of December. The figures are based on data from AIB, Bank of Ireland, Permanent TSB, ACC bank, KBC Ireland and Ulster Bank. Email “Nearly 60,000 mortgages in long-term arrears have not been restructured”. Feedback on “Nearly 60,000 mortgages in long-term arrears have not been restructured”.